If you are currently in an abusive relationship or if you were in a prior relationship with someone who commits acts of violence or threatens you or a family member you may need to file an action for a Domestic Violence Protective Order (DVPO) or restraining order or no-contact order. A Domestic Violence Protective Order is a civil action not criminal. However, in some cases criminal charges may be taken out in addition to the civil protective order. Upon the entry of a protective order by the Court an individual can be arrested for violations of the Order. In order to begin the process of seeking a Domestic Violence Protective Order (DVPO) and individual or Plaintiff will file a Complaint indicating the nature of the violence or threats that has taken place. The pleadings will be presented to a Judge and if the court finds that it satisfies the burden of domestic violence the Judge will enter an ex parte order (ex parte means only one side was present). The Sherriff will deliver and serve a copy of the ex parte order on the Defendant and may remove firearms from the Defendant’s residence. If Plaintiff and Defendant live together, the Court may order the Defendant to stay away from the residence. 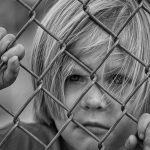 The Court can also address temporary custody of the children until there is a full hearing if the Judge feels protection for the children is needed. The Judge will set a return court date, typically within ten (10) days for a full hearing on whether there was an act of domestic violence that necessitates a protective order that restrains the Defendant from committing future acts of domestic violence. A protective order is typically in place for a period of one (1) year and could include such provisions as: removing the Defendant from the residence, requiring Defendant to turn over and not purchase any future firearms, prohibiting contact between the parties, ordering Defendant to attend an anger management program or abuser treatment program, prohibiting the Defendant from being at certain places such as the Plaintiff’s work and residence. If children are involved the court may order only limited contact with the children, such as supervised visits or may suspend visits between parent and children for a period of time until the court believes it is in the children’s best interest to resume visitation or custody. It is important to obtain an attorney and get the best legal representation possible because these types of cases can have a lasting impact! Contact our office today to set up your confidential consultation and to learn more about your rights and options!